Pokhara is the third biggest city in Nepal that has 264,000 residents. 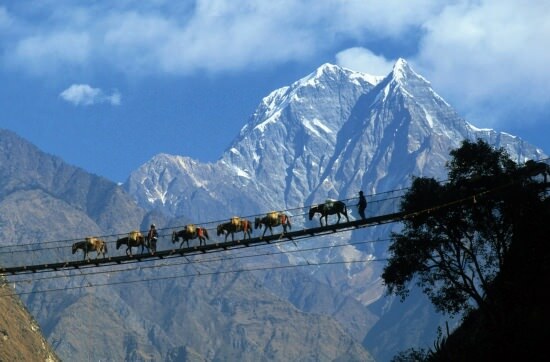 It is a well known tourist destination and when tourists visit, they enjoy hiking along the Himalayan trails. Pokhara is also a spiritual city as it is home to several Buddhist and Hindu temples. These temples are related to Pokhara’s rich history and they look majestic on the inside and outside. Here is how to spend a week in Pokhara. If you are spending a week in Pokhara, you should check out Phewa Lake because it is considered one of the most spectacular places in Pokhara. This lake has forests heavily populated with monkeys and the water of the lake is so pristine that it resembles mirror reflections. Other neat lakes and rivers include Begnas Lake, Rupa Tal and Devi’s Falls. The World Peace Pagoda is an important landmark that was built in 1996 and many visitors to this pagoda go all the way to the top. If you are a nature lover, you will enjoy a week in Pokhara because you can engage in activities such as mountain trekking, mountain biking, hiking and white water rafting. Pokhara has beautiful mountains and since it is located along the Himalayan region, you can go on hiking trips. The many rivers in Pokhara give you the opportunity to do some white water rafting while you are in the city. Sarankot is another place you should check out if you are spending a week in Pokhara. Sarankot is a well known and loved tourist destination, and this is a neat place where you canget a mountain view of the entire city. If you are interested in seeing the romantic side of Pokhara, you need to check out Sarankot. Durbar Central is a huge square located in Patan, and it contains numerous pagoda temples, historic landmarks from Nepal’s history and a few stores and restaurants. The Nyatapola temple is enormous and majestic, and it is in dedication to the Hindu goddess Siddha Laxmi. It is also a UNECO World Heritage site. The Ram Mandir Temple was built in the 19th century and is a huge temple. This is one of the most important temples in Pokhara and this is because it is a temple that it is dedicated to a female deity called Ajima. The least favorite time to visit this temple is on Saturdays because this is the day when animals are sacrificed. This is one of the most beautiful mountains in Pokhara and this snow covered mountain sits high above Pokhara. At daybreak this mountain gives out a silver-like image and for tourists this is an amazing thing to see when they look outside the hotel balcony. When you visit Pokhara check out these destinations because they offer a more laid back type of vacationing than the urban parts of Asia and within Nepal. The people of Pokhara are also friendly to talk to and you can learn a lot about the country’s history and culture. When you visit the temples in Pokhara you want to be courteous and show respect for the rules there. If you have kids you can bring them to Pokhara because it offers a chance for them to see Asia and they will enjoy the items at the shops that you will find in this city. Pokhara is a city that attracts millions of tourists each year and it is for the above mentioned reasons.